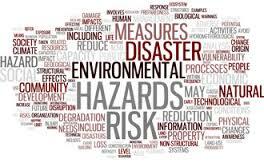 Specifically, non-weather related disasters including burst pipes, theft, chemical spills, arson, pest infestation and more can have a serious impact on your organization. All of these result in an inability to serve your community in their time of need. The very definition of ‘isolated incident’ means that it is unlikely to happen again, but when it comes to disaster recovery, nothing could be further from the truth. It’s just as important to prepare for isolated events as it is to prepare for predicted natural disasters. Isolated incidents will catch organizations off guard, so preparing in advance will help get your systems back online and your doors open as quickly as possible. The following “10 Steps to Preparedness” will help you recover quickly and efficiently from an isolated event. Assess your risk—both internally and externally. Create a list of incidents that could potentially happen or may have happened to another organization either in your area or elsewhere, and conduct scenario planning sessions with your emergency management team around those incidents. Assess your critical functions. Make a similar list of your operation’s most critical functions. Then next to each one, write the maximum amount of time the organization can be run without that service. For any functions that you would prefer not to go down at all, put a zero. For each function, discuss your recovery options for keeping it up and running during a disaster or quickly and efficiently bringing it back online after a forced shutdown. Prepare your supply chain. Query your vendors and partners about their emergency recovery plans. Be sure to provide your key vendors with remote contact information for their primary contacts. Create an emergency management plan. Your emergency management plan is a roadmap that your employees can follow during and immediately after any disaster. Back up your data. There are three priorities to consider when backing up your data: Access, Redundancy and Security. Create a crisis communication plan. To ensure that the emergency management team, as well as all employees, are able to communicate with each other, have two or three alternate communication methods in place. Assemble an emergency kit or ‘go’ bag. A go bag is an emergency kit that is ready to be used at all times. Its purpose is to help minimize the impact of a disaster and should include items you would need to run your operations if you had to vacate your office or if your facility was without power, water, internet, etc. Review your insurance coverage. Your organization is constantly growing and evolving and it is not the same as it was a year ago. Review your insurance policy annually to make sure all of your employees and physical assets are adequately covered. Plan for an alternate location. Often, a disaster or event will result in the inability to reopen an office or facility, and organizations may have to consider an alternate location. Test your plan. Testing is a critical component of continuity planning. Through testing, you will be able to determine what will work and what needs adjusting, and you can spotlight and fill in any gaps in your plan. For more information or how to prepare for a disaster, click here www.rueinsurance.com to contact one of our advisors.